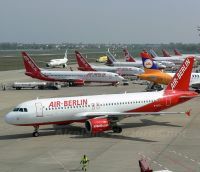 Potential oneworld partner, loss making Air Berlin, seems to be in some sort of crisis with the resignation last week of founder Joachim Hunold and the announcement of an eight aircraft reduction of it fleet. Staff will be reduced too. 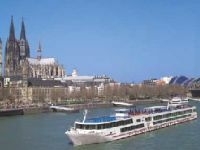 The move of its London to Hannover route from Stansted to Gatwick has not proved the outstanding success first predicted, easyJet and British Airways providing stiff competition. That has definitely gone. The Gatwick service to Nuremburg seems to have survived the cull although Air Berlin was not able to confirm details of the ex-UK operation at the time of going to press. Manchester is definitely dropped with the loss of Paderborn flights. Best known as the launch city for Yangtze River cruises through the Three Gorges Dam, Chongqing is to be served three times per week by Qatar Airways from its hub at Doha. 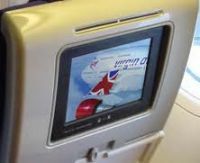 The flights will be operated by two-class Airbus A330 aircraft featuring a Business and Economy layout. 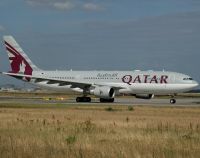 Chongqing is the fifth Chinese destination for Qatar Airways taking the carrier’s capacity to the People’s Republic up to 28 flights a week. Chongqing is a major manufacturing centre and a key transportation hub located in the upper reaches of the Yangtze River, a vitally important shipping waterway in China. With Beijing, Shanghai and Tianjin, it is also one of only four municipalities in China that report directly to the national government. The name Falko will probably mean nothing to the vast majority of readers, and will not for the future, but it is the sole surviving part of the once mighty British commercial aircraft industry. Falko is essentially an aircraft asset management company based on the old de Havilland site at Hatfield, offering, initially at least, a portfolio of 103 jets and 40 turboprops, the majority previously BAe aircraft. The business is now owned by Fortress Investment Group of New York which at the end of June 2011 had US$43.8bn under management. “Our acquisition of the BAE Systems Asset Management business with the backing of the Fortress Investment Group of New York, will unleash the potential of a talented, experienced and ambitious team who will now focus on building a future rather than dealing with a legacy,” said Jeremy Barnes, Chief Executive Officer of the new company. Mr Barnes was with Obis Capital, a specialist aerospace boutique company which he created in 2001. He started his finance career with Citibank before joining the then BAe in 1993, and became Head of Corporate Finance before moving to XL Capital. Hyatt Hotels Corporation has announced the opening of Grand Hyatt Goa on India’s west coast. Grand Hyatt Goa joins Park Hyatt Goa Resort and Spa, located in south Goa, one of India’s top resort destinations. Located on the calm and inviting waters of Bambolim Bay, this enchanting destination resort and spa is situated just over four miles (7kms) from the capital city of Panaji and is located 20mins from the airport by car. A contemporary resort, it is built in the architectural style of a 17th century Indo-Portuguese palace. Olympia, London, will again host the Luxury Travel Fair from Thursday, 3 November to Sunday, 6 November 2011. Now in its 6th year, it is the only event of its kind in the UK aimed at discerning travellers either considering quality business hotels or up market holidays. In association with Condé Nast Traveller, the Fair plays host to over 100 hotels, travel companies and destinations from around the world, making sure that visitors will be able to enjoy unique, unusual and unforgettable travel experiences. This year there are more than 30 new exhibitors taking part for the first time, including the new Siam KempinskiHotel in Bangkok; Vil Llein Italia showing its range of luxury holiday villas; the Mallorca Tourist Board and Quintessentially Travel, who offer tailor-made personalised hotel experiences. Regular exhibitors once again appearing include Abercrombie & Kent, The Oxford Ski Company and ITC Classics, as well as tour operators, Into Japan, Okavango Tours & Safaris, Viking River Cruises and Mundy Cruising. Visitors will enjoy the relaxed atmosphere of the beautifully designed Fair, where they can enjoy champagne and cocktails in the luxury Lotus Bar in the heart of the Fair and try some of caterer Mosimann's delicious salads and platters. They can also attend a wide range of celebrity talks in the extremely popular ‘Meet the Experts Theatre’. Terminal 3 at Heathrow has a new airside lounge which boasts a spa, game rooms, à la carte dining and even sleeping facilities. 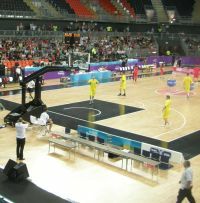 The facility has been put together by the London-based company, No. 1 Traveller, which already has lounges at Gatwick and Stansted airports. It is located on the former Japan Airlines lounge site, situated above Gate 11 with panoramic views of the runway. Entry costs £30 on the door per adult, and £25 if booked in advance online. There are discount rates available for 2-11 year-olds, and toddlers (under two years) can enter for free. The price includes a selection of hot and cold food, coffee, juice, wine and beer. You can also enjoy the use of a mini-cinema, family room, relaxation areas and wi-fi. The “Fun areas” for children are surrounded by soundproof glass walls, ensuring that any noise from these areas will not disturb other passengers. At the end of the lounge there is a travel spa service which offers massage, nail and hair dressing treatments which are individually priced. Air Transport World, the much respected and long established US monthly magazine, has published its July issue, World Airline Report, in electronic format using Excel for the basic file. The entire report is available at the point of purchase from the ATWOnline store as a download or can be delivered by email as a ZIP file. The statistics package features data on 350+ airlines, plus world airline traffic for the last full year and financial results. Airline rankings are given and details of fleets and summaries. 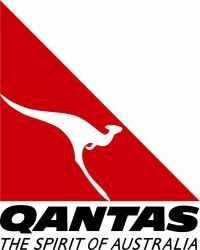 Qantas Airways unveiled last week plans to set up two new Asia-focused airlines and launch a US$9bn plus fleet upgrade. The Australian airline, which has been reviewing its offshore operations to cut costs and unprofitable routes, said up to 1,000 jobs could be lost as it launches a new, premium Asian airline and a Japanese budget carrier, the latter jointly with Japan Air Lines and Mitsubishi Corporation. Qantas plans to acquire up to 110 Airbus A320 series aircraft. It also plans to give up some of its loss making long-haul routes and retire older planes. "To do nothing, or tinker around the edges, would only guarantee the end of Qantas International in our home Australian market," the airline's Chief Executive, Alan Joyce, told a news conference. He said the international operation's cost base was around 20% higher than its major rivals. A panel of international travellers and wine experts has declared easyJet’s wine the winner in a recent tasting of airline wines, conducted by flight comparison site Skyscanner. 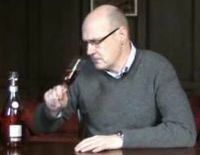 The panel of ten judges, led by wine expert Tom Cannavan, were asked to blind taste 12 red and 12 white wines served on board the major carriers, and score each a mark out of 10. Surprise victor in the white wine category was easyJet’s Louis Mondeville Côtes de Gasgogne (France) which took first place in the category, with, in joint second position SAS Crusan Colombard Sauvignon Côtes de Gasgogne (France) and Emirates Weighbridge Shiraz by Peter Lehmann (Australia). The winning reds showed a greater preference towards national carriers with British Airways Argento Malbec coming out top, followed by Emirates Weighbridge Shiraz by Peter Lehmann. KLM and Virgin were the only airlines to have their wines appear in the top five in both red and white categories. The northern, emergency, runway at Gatwick Airport is to be resurfaced, with work already started and not expected to be completed until the end of the year. Known as 08L/26R it is 2565m long as against 08R/26L 3316m. 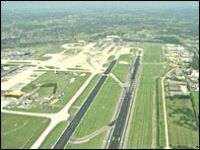 Both runways cannot be used at the same time due to their nearness and the emergency strip is too short for (heavy) wide-bodied aircraft operations but in fact is longer than most UK regional airports. The work, and normal remedial servicing on the main runway, should not affect scheduled operations. The project will involve resurfacing an area of 400,000m2 – the equivalent of 100 football pitches – with approximately 65,000 tonnes of asphalt. Around 1,900 runway and taxiway lights, fed by 530km of electrical cabling, will also be replaced. 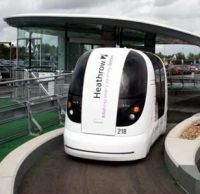 London’s Heathrow Airport has now commissioned its PRT (Personal Rapid Transit) system at Terminal 5. The fully automatic four-passenger pods link two parking areas with the terminal. There are 3.86km of track and 22 individual pods. The Personal Rapid Transport concept is not unique to Heathrow but nowhere else has it been implemented on the same kind of scale. Research is now taking place into expanding use of the PRT potentially involving additional Heathrow terminals. 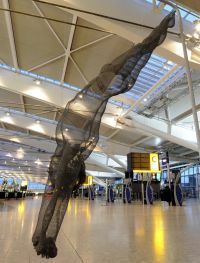 A life-size wireframe study of Olympic diver Tom Daley is amongst 11 sculptures on display at Heathrow Terminal 5 in an exclusive preview exhibition celebrating the upcoming 2012 London Olympic and Paralympic Games. ‘Sculpture and Sport: A Celebration For 2012’ comprises feature pieces from a collection of 30 life-size works, specially commissioned by Art at the Edge and created by established British sculptors. 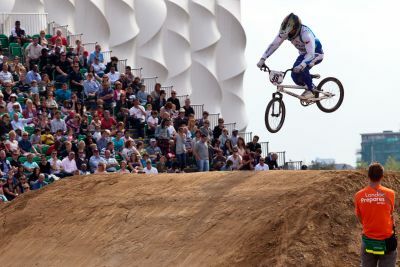 The pieces, each of which interprets a different Olympic or Paralympic sport, will be on display in Terminal 5 Departures until 30 September as part of the airport’s expo programme. In addition to Tom Daley, the exhibition also showcases a wireframe sculpture of sprinter Jason Gardener and eight bronze maquettes of athletes by artists including Paul Day, John Buckley, Hamish Black, Judy Boyt, Steve Dilworth, Jilly Sutton, Alan Dun and Suzie Zamit. The lead Boeing 787 Dreamliner for United Airlines has entered the assembly phase at Boeing’s Everett facility near Seattle. 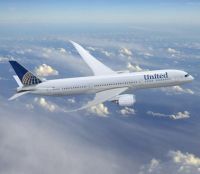 In early 2012, United will be the first North American carrier to take delivery of the aircraft, marking the first of 50 Dreamliners for the airline. This first United 787 will be configured with 36 flat-bed seats in BusinessFirst (the old Continental Airlines product name being kept on), 63 extra-legroom seats in Economy Plus and 120 seats in Economy. Customers will experience improved lighting, bigger windows, larger overhead bins, increased cabin humidity, reduced cabin pressure and enhanced ventilation systems, among other passenger-friendly features. John Baker, winner of the AERBT Christmas quiz, has been welcomed to AIRBASE at Coventry Airport where he and his wife were able to fly in an Air Atlantique de Havilland Dragon Rapide on a sightseeing flight over Leamington, Warwick Castle and the Sir Frank Whittle memorial. He was joined by Flight Lieutenant Steve Stevens DFC, now 89, but back in 1939 turned down by the Royal Air Force for being too young. After his own house was bombed he vowed to become a Lancaster pilot joining 617 Squadron in 1943. 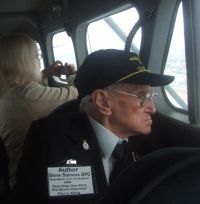 A veteran of the Berlin Air Lift he finally retired from the RAF Voluntary Reserve in 1971. As an author he has written Beaufighter Over the Balkans and Early Wings over Africa for the First Mission Fellowship. 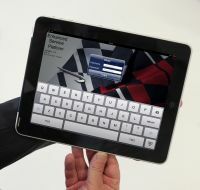 Cabin staff with British Airways are using the latest iPad model to bring a new dimension to customer service in the air. The iPads enable cabin crew to have prior awareness of customer preferences and a greater understanding of each customer’s previous travel arrangements, allowing them to offer a truly bespoke, personalised service. The iPad lets crew quickly identify where each customer is seated, who they are travelling with, their Executive Club status and any special meal requests. It gives cabin crew a whole library of information at their fingertips including timetables, safety manuals and customer service updates. It also means any issues can be logged with ground-based colleagues around the network prior to departure so solutions can be delivered while the flight is airborne. Virgin Atlantic is introducing an emotional health warning on films that have potential to be the biggest tearjerkers on board. ‘Water for Elephants’ and ‘Just Go With It!’ will be the first movies to carry the new warning sign that will flash up before they start to advise passengers to have tissues at the ready and to press the call button for a shoulder to cry on. In a recent survey Virgin found over half of respondents (55%) agreed their emotions become heightened when on a flight and 41% of men said they hid under blankets to hide their tears. Meanwhile women said they were most likely to hide their tears by pretending they had something in their eye. Virgin does not appear to have surveyed their cabin staff who might have other ideas regarding dealing with emotive passengers. With just one month to go, Goodwood has confirmed an impressive line-up of over 70 star drivers and riders attending the 2011 Revival (16-18 September). Touring Car talent will be campaigning hard in 1960s saloons in the St Mary’s Trophy race, including DTM star (and eight-time Le Mans winner) Tom Kristensen, four-time World Touring Car Champion Andy Priaulx, and BTCC legends John Cleland, Anthony Reid, Paul Radisich, Darren Tuner, Alec Poole, Tony Dron and Patrick Watts. These tip top racers will be joined by Scandinavian rallying greats Stig Blomqvist and Rauno Aaltonen, plus ex-Grand Prix stars Martin Brundle, Emanuele Pirro, Jochen Mass, Derek Bell, Richard Attwood, Tiff Needell, Desire Wilson, Brian Redman, Jackie Oliver, Vern Schuppan and Arturo Merzario, who are all sure to entertain the Revival spectators. 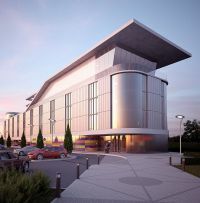 The brand new 4-star hotel located at Southend Airport is to be a Holiday Inn. Building work has started on the £10m project sited on land adjacent to the Harp House Roundabout. The striking 129-room property will be completed in time for the London 2012 Olympic and Paralympic Games. Also on offer is a variety of conference and banqueting facilities, plus a choice of meeting rooms. In a first for Holiday Inn in the UK, the five-storey hotel will also have a fully sound-proofed rooftop bar and restaurant. It will be able to seat over 100 customers, as they gaze out at the spectacular panoramic views of the airport and surrounding area. Warsaw is to shortly gain a second Radisson Blu. Previously the Jan III Sobieski Hotel, it was designed and built in 1992 by an Austrian-Polish team, and was named after one of Europe’s greatest monarchs. 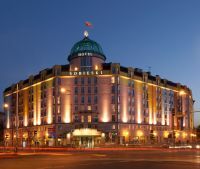 The Radisson Blu Sobieski Hotel featuring 435 rooms is scheduled to be re-branded in Q3 2011. The location of the hotel, in the southern part of Warsaw’s central business district, is a perfect complement to Rezidor’s existing Radisson Blu in Warsaw, which is roughly 4km north. Warsaw’s Fryderyk Chopin Airport is 7km away, and the city’s main railway station 1km. With a prominent corner location on a major thoroughfare, the building enjoys excellent visibility and is already a local landmark. 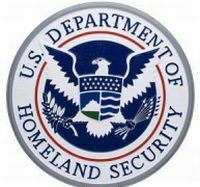 Boston (Logan) Airport has been chosen by the US Transport Security Administration (TSA) for a new security development. Essentially copying a security system developed by the Israelis over the years it will be on trail for 60 days. Called ‘chat downs’ all passengers are being asked a series of questions by a Behaviour Detection Officer (BDO) as they have their identification verified at a checkpoint. The type of interview has proved to be remarkably effective not only at Ben Gurion Airport Tel Aviv but also at outstations where the Israelis have been allowed to position staff. In essence it involves a brief conversation with a specially trained agent taught to notice unsatisfactory physical cues or answers to questions during the dialogue. However, looking nervous and averting eye contact are not considered to be giveaway signs, says the TSA, who are reticent on giving away details of the project.